New design meets maximum wearing comfort - discover our Smilodox Men's T-Shirt Enable. Framed by a camouflage pattern, a white stripe on each side from shoulder to upper arm perfectly shows off your muscles. 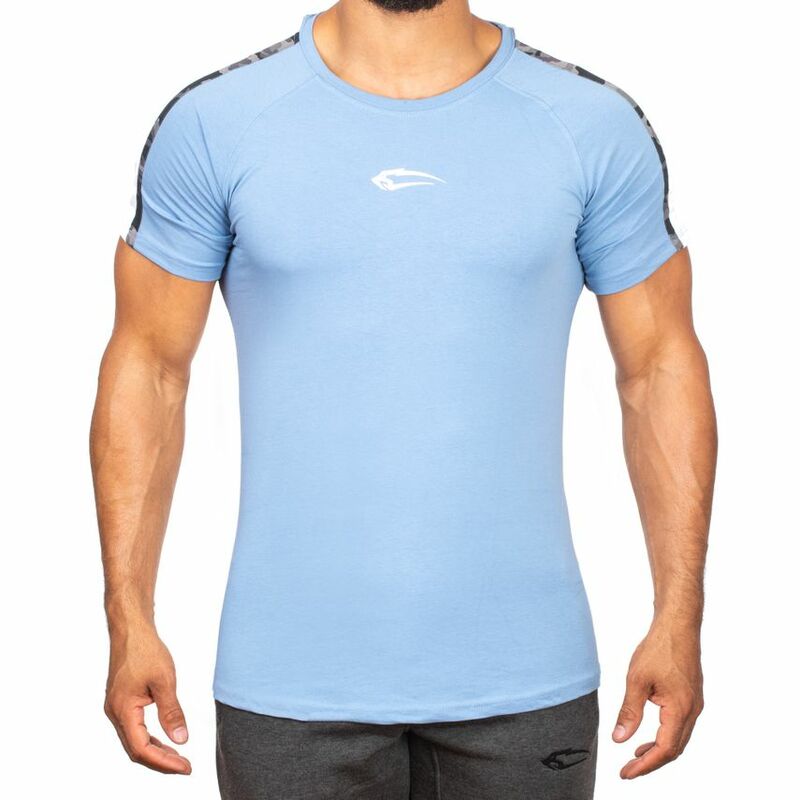 The loose fit and the comfortable material make it possible to wear it in the gym as well as in everyday life and offer a multitude of combination possibilities. The Smilodox logo in the middle of the front of the chest complements the design of the T-shirt perfectly.